Ottawa, ON – February 24, 2009 – Corel Corporation (NASDAQ: CREL; TSX: CRE) today introduced Corel® Painter(TM) 11, the newest edition of the world’s leading painting and illustration software. With more than 40 new and enhanced features, Painter 11 provides the most inventive drawing and painting tools available, making it the ultimate art studio for those ready to expand their definition of creativity. 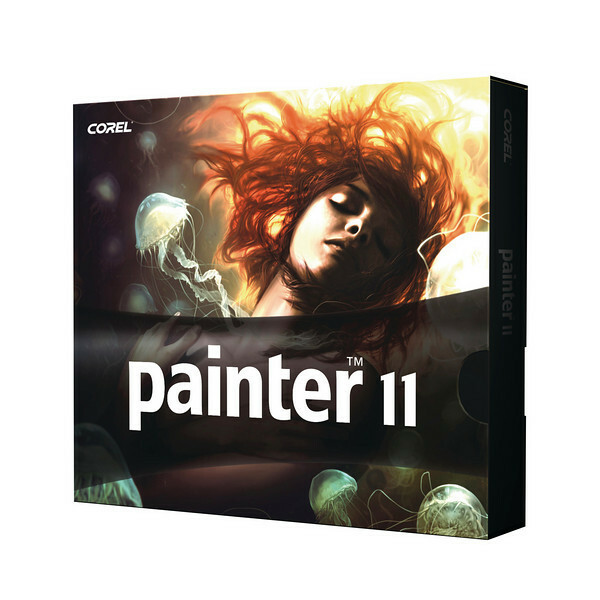 Since its inception, Corel Painter has set the standard for painting and illustration software. With Painter 11, artists can now expand their digital toolset with the most advanced painting and natural media tools available. New pressure-sensitive brushes allow hand and brush to fluidly work as one, producing brushstrokes that are unrivaled in texture and precision. Enhanced drawing tools and customizable media allow users to create distinct art every time. Painter 11 offers artists the ability to enhance their creativity through the freedom to create and customize brushes and media variants to their precise specifications. With unique new tools including new artistic media, new hard media brushes, and new selection tools, Painter 11’s unique toolset enables users to create art that would not be possible working with traditional media. With Painter 11, artists can expand their digital toolset with painting media designed to extend the capabilities of digital photography programs such as Corel® Paint Shop Pro® Photo and Adobe® Photoshop®. New color management improves color recognition when importing files from other applications and individual color profiles per document create greater color accuracy for each file. For those looking to embark on an artistic education, Painter 11 offers the ability to experiment with color theory and composition much faster than in a traditional environment, and without the toxins and mess. With the option to undo brushstrokes and other effects, this digital art studio provides the ability to experiment in an unlimited capacity, giving students, teachers, and other new users the confidence to explore a wide variety of artistic techniques. Artists using Painter 11 can enjoy creating in an inviting environment that is optimized for their workflow. Enhanced brushes perform up to thirty percent faster than in previous versions, making this the fastest, most responsive version of Painter yet. For more information about Corel Painter 11 and to see a detailed list of new and enhanced features, and to view exceptional art created using Corel Painter, please visit www.corel.com/painter. To learn more about how Corel Painter is used worldwide, please visit the product’s community site at www.painterfactory.com. The English version of Corel Painter 11 is available tomorrow (Feb. 25) as an electronic download through www.corel.com and is priced at $399 US for the full version and $199 US for the upgrade. The boxed product featuring new, environmentally-aware packaging is also available immediately for preorder and is priced at $429 US for the full version and $229 US for the upgrade.